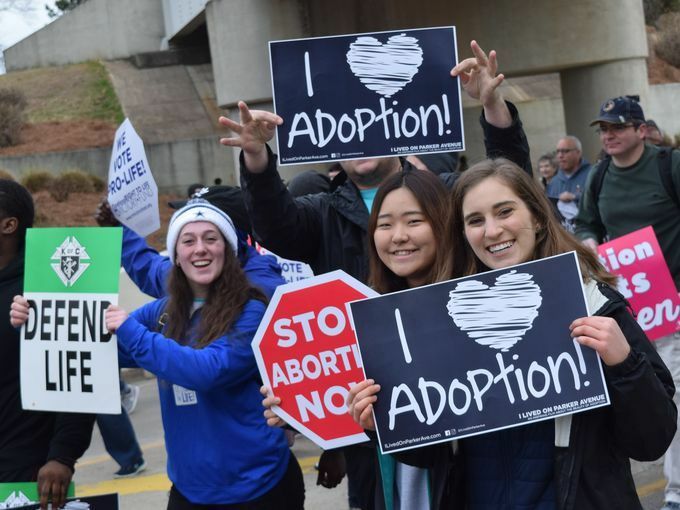 On April 4, 2018, the Louisiana House of Representatives made significant progress in the promotion of adoption as an abortion alternative. The Louisiana House Education Committee and Health and Welfare Committee each advanced pro-adoption legislation to a full House session for debate on April 11, 2018. First, the Louisiana House Health and Welfare Committee advanced HB 449 (“Adoption Option Act”). HB 449 enhances the “Woman’s Right to Know” law that was created to promote informed consent for expectant mothers who are considering abortion. As proposed, HB 449 requires the Louisiana Department of Health to publish a unique webpage with up-to-date information about adoption and other abortion alternatives. Among its improvements, HB 449 requires the Governor to commission a task force composed of social workers, residents, and lawyers to create and to disseminate said information. Moreover, the task force’s webpage must include a geographical list of Louisiana-based public and nonprofit agencies that (1) offer free obstetric ultrasounds and (2) free, confidential counseling to women who consider adoption. Furthermore, HB 449’s measures empower expectant mothers to create meaningful adoption plans. And HB 449 ensures that expectant mothers have access to credible information about the voluntary surrender of parental rights process. Second, the Louisiana House Education Committee advanced HB 625. An enhancement of existing legislation, HB 625 establishes 30 days of maternity leave for female teachers who adopt newborns. Currently, Louisiana law only requires school districts to provide parental leave to biological mothers. Under HB 625, Louisiana joins a wave of states that recognize the societal importance of adoption. Moreover, HB 625 represents a growing awareness of the medical benefits of newborn bonding. However, HB 625 does not entitle male teachers who are biological or adoptive fathers to parental leave. On April 11, 2018, a full session of Louisiana’s House of Representatives will debate HB 449 and HB 625. Pragmatic legislation, HB 449 and HB 625 elevate adoption to its proper place under Louisiana law as an abortion alternative. HB 449 ensures that expectant mothers are empowered with the education and resources necessary to make informed pregnancy decisions. And HB 625 recognizes adoptive parents as integral to society. In sum, each bill promotes adoption as a sensible and accessible alternative to abortion. Bill Info – HB449. Accessed April 10, 2018. http://www.legis.la.gov/legis/BillInfo.aspx?s=18rs&b=HB449&sbi=y. “HOUSE BILL NO. 449.” Accessed April 9, 2018. http://www.legis.la.gov/legis/ViewDocument.aspx?d=1082831. NRL News. “‘Adoption Option Act’ in Louisiana Legislature.” NRL News Today. March 15, 2018. Accessed April 10, 2018. https://www.nationalrighttolifenews.org/news/2018/03/adoption-option-act-in-louisiana-legislature/. LA House On-Demand Video, at 26:50. Accessed April 10, 2018. http://house.louisiana.gov/H_Video/VideoArchivePlayer.aspx?v=house/2018/apr/0404_18_HW. “HOUSE BILL NO. 625.” Accessed April 9, 2018. https://www.legis.la.gov/legis/ViewDocument.aspx?d=1073038.